I found my two favorite characters. 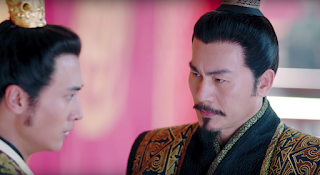 They're both kind of evil, one more of a straight up villain than the other, and they both make equally intriguing personalities. 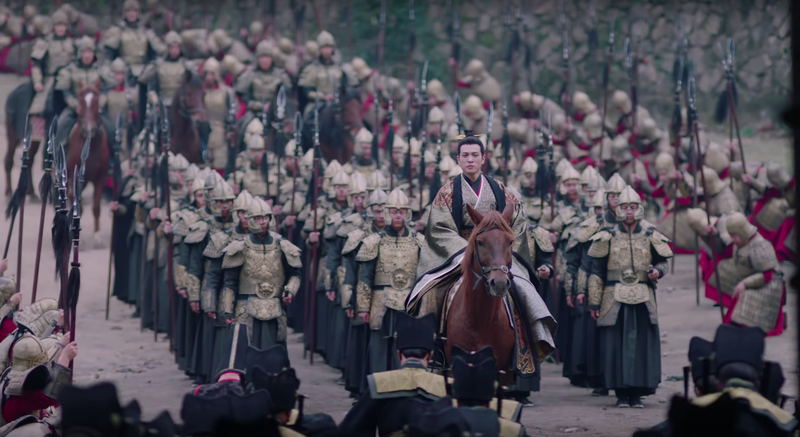 Granted the plot and cinematography is nothing out of the ordinary, but I'm invested enough to want to keep watching. 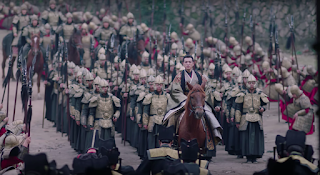 Episode 1 begins during a period of great turmoil. 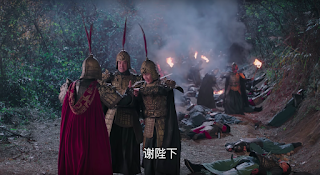 The King of Northern Wei fights a losing battle against the forces of Gao Huan and just when all hope seems lost, Dugu Ruyuan (Howie Huang) and Yang Zhong come to the rescue. 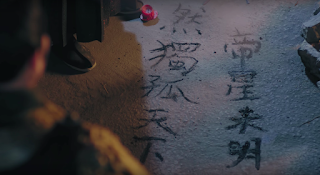 They take refuge inside an old temple with ancient writings on the wall and the King is shocked to read about his own fortune as it states,“The emperor star is unclear, Dugu land under the heavens.” Dugu Ruyuan sees the writing with his own eyes and immediately kneels in deference to the King. 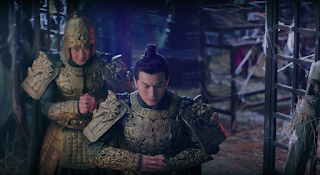 In a voiceover, we learn that the King bestows Dugu Ruyuan with the name Dugu Xin as he believes that all he needs is for Dugu Xin to stay loyally by his side. 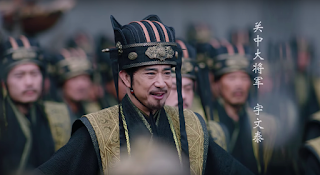 However, the Yuwen Clan continues to broaden their political clout under the leadership of Yuwen Tai and in A.D. 557, his son Yuwen Jue ascends to the throne as the King of Northern Zhou. 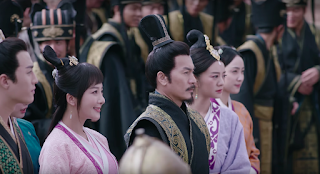 The main characters are first introduced when Dugu Xin and his two daughters Dugu Banruo (Ady An) and Dugu Mantuo (Li Yixiao) welcome the imperial family. Everybody kowtows to the King and Queen with the exception of Yuwen Hu (Jeremy Tsui) who doesn’t bother to alight from his horse. Yuwen Hu’s intentions becomes evident later on when he momentarily aims an arrow towards the King before shooting it straight for the bull’s eye. A second arrow comes from nowhere to break his, and the person behind it is revealed to be Dugu Xin’s youngest daughter, Dugu Jialuo (Hu Bingqing). 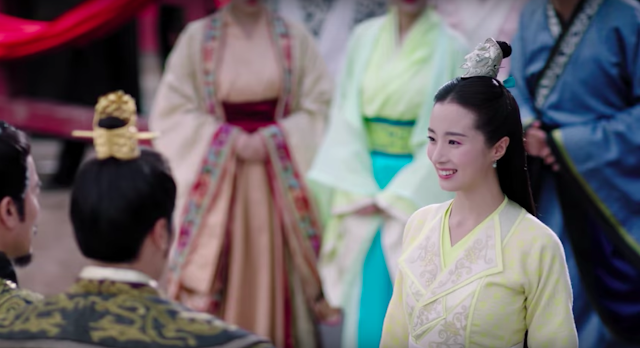 Yang Jian (Zhang Danfeng) and his steward catch a glimpse of Dugu Jialuo from behind and remark that she is an impressive lady. 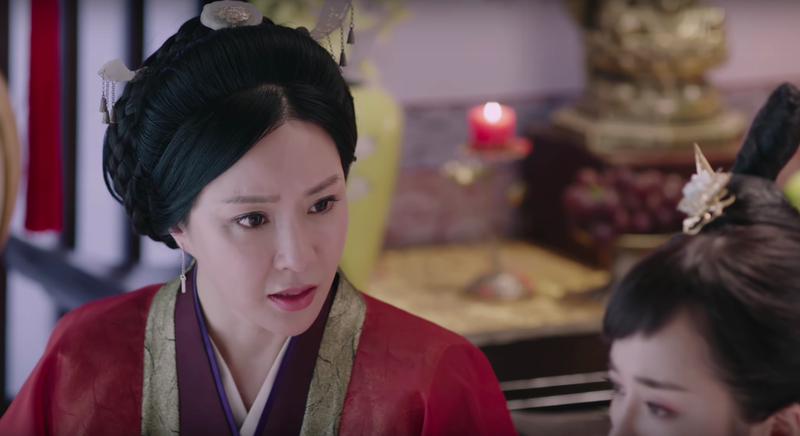 They wonder whether it’s possible that she’s none other than Yang Jian’s fiancee as she seems to be one of Dugu Xin’s daughters. 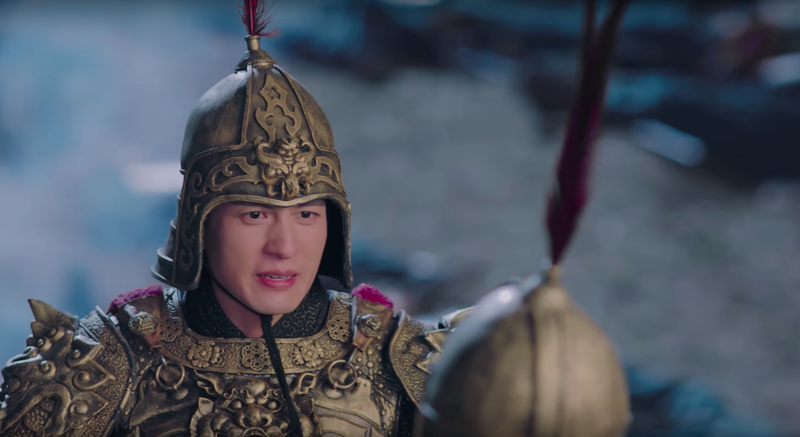 Yang Jian says that he hasn’t seen Mantuo for a long time so he wouldn’t recognize that it’s her. 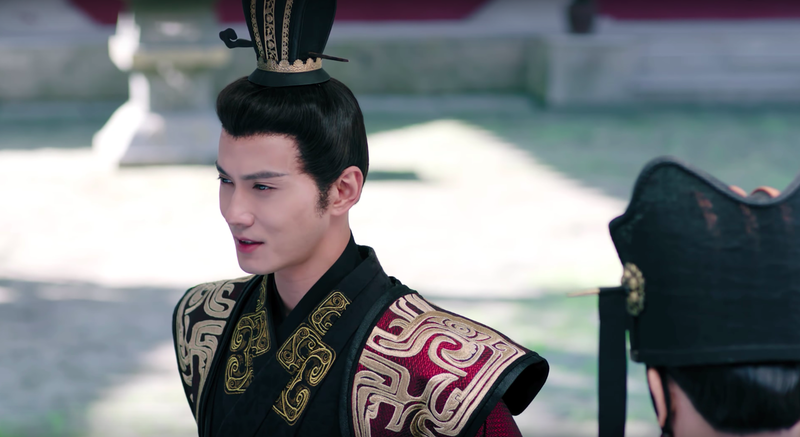 More importantly, he deduces that Yuwen Hu is indeed a fierce opponent and that he must feign weakness as his father had instructed. After rewarding Dugu Jialuo for her exceptional display of skills at the shooting range, the King’s expression turns dark when he takes Dugu Xin aside to vent his frustrations against Yuwen Hu’s increasing provocations. Meanwhile, the small talk among the ladies gives some insight into the characters. The Queen points out that the King’s brother Ning Du Wang is stealing glances at Banruo from the crowd. The Queen wishes for them to marry soon though Banruo appears largely disinterested. 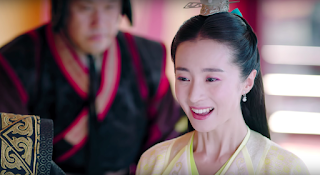 One of the guests start to insult Mantuo for being an illegitimate daughter but Mantuo shows her up by reciting a poem that wins the approval of the audience. 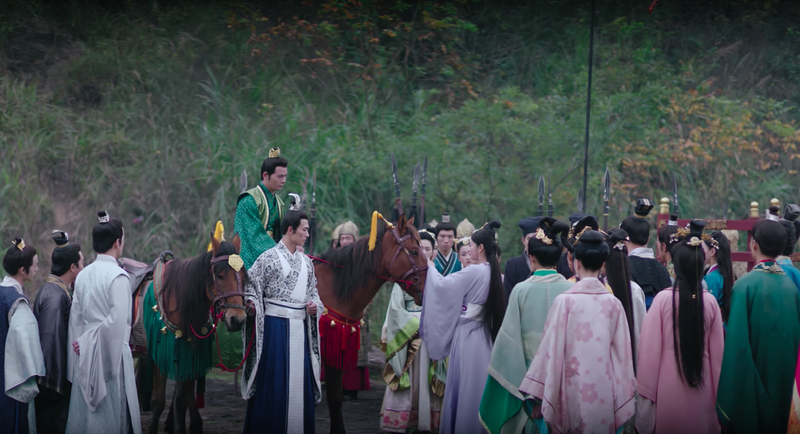 Jialuo visits her friend Yuwen Yong (Ying Hao Ming), another one of the King’s brothers, to wish him luck before the upcoming game since he is not in the best of health. He assures her that he’ll be alright and their team even succeeds in scoring a point. 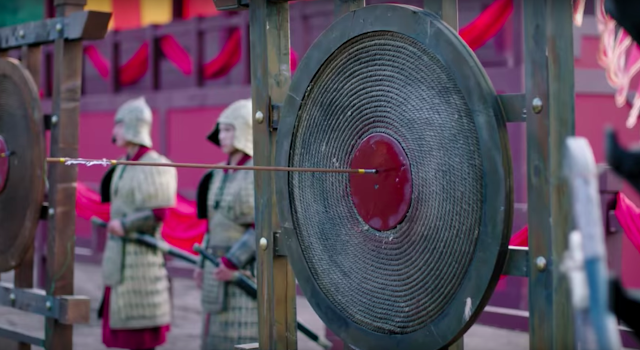 However, the match ends abruptly when a man purposely kicks Jialuo’s fifth brother to the ground which leaves him heavily injured. Jialuo and Mantuo confront the man who arrogantly claims that it’s no one’s fault that accidents happen, and there's nothing he can do if his horse wouldn't listen. 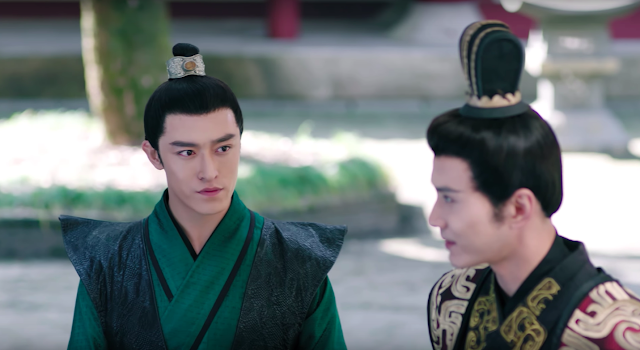 Banruo walks in to break up the argument and admits that everything is a misunderstanding. After all, it’s the horse that is to blame. Yet just as calmly as she speaks, she pulls out a dagger and stabs the horse causing the man to fall and injure himself. Her expression remains unflinching despite the blood stains on her face. She turns back one more time and mockingly tosses the man one of her earrings as compensation. Yuwen Hu quietly observes the entire exchange from a distance. 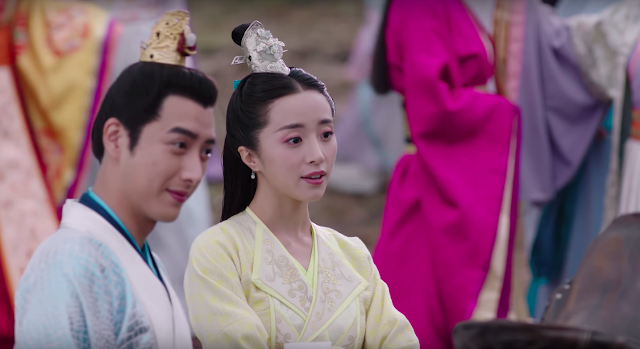 The next scene reveals Yuwen Hu and Banruo to be a couple in secret. Banruo has been saving herself until the day that he becomes King and she, his queen. 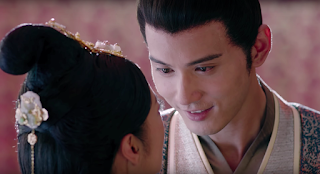 Yuwen Hu pulls her into his arms and declares that only someone like him would accept someone as power-hungry as her. He also warns her to stop her father from accepting the position of prime minister as he wouldn’t want to be at war with his future father-in-law. 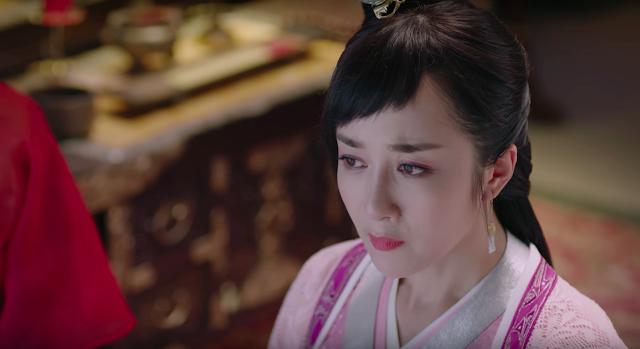 Banruo doesn’t back down and threatens him that should he dare to lay a finger on her family, she would make him regret it. Yuwen Hu explains that he was merely joking to which she smiles and claims that she was serious. 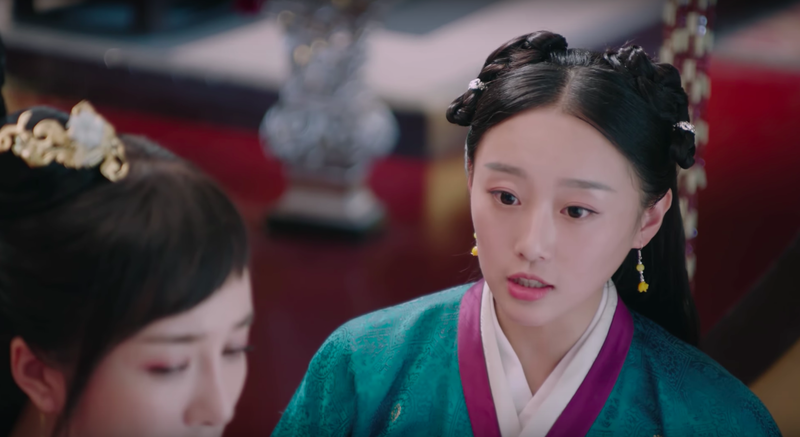 Over tea, Banruo tries to convince her father against accepting the position of prime minister. There were already five prime ministers before and not one of them is alive. She implores with her father to consider their family first especially since all of the sisters are unmarried and their brothers are still young. 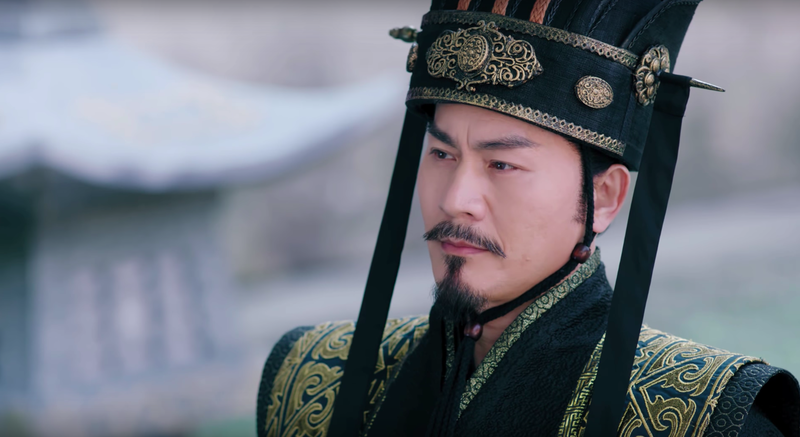 Dugu Xin assures his daughter that he won’t easily agree to the King’s request, but remarks that she makes a good point about marriage. His friend Yang Zhong’s son is a good kid - smart, capable and skilled in the art of war. 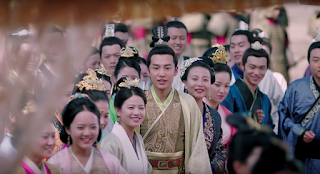 Dugu Xin plans for Mantuo to marry Yang Jian once he arrives in the capital. Banruo is surprised as she initially thought that her father would arrange such a good marriage for Jialuo whom he favors the most. 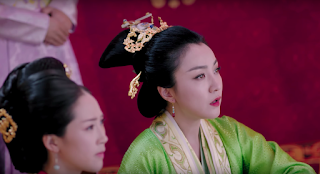 She adds that Mantuo would be thrilled once she hears the news. 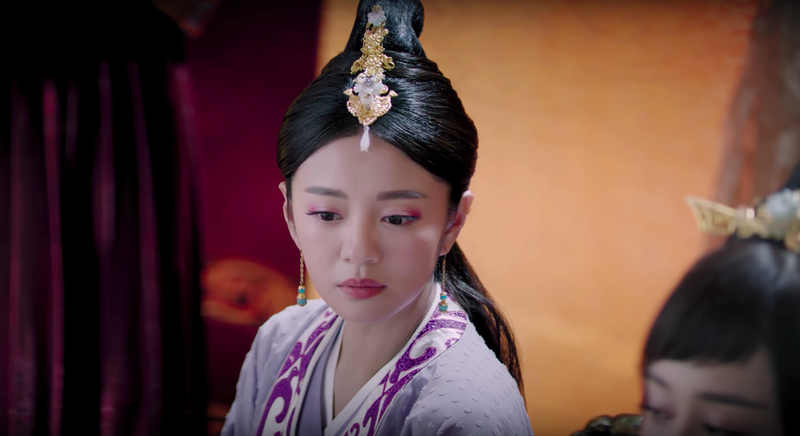 Inside her quarters, Mantuo is anything but thrilled because even though her maid gushes that she and Yang Jian are a match made in heaven, her nanny gripes at Yang Jian not being born from the royal family. 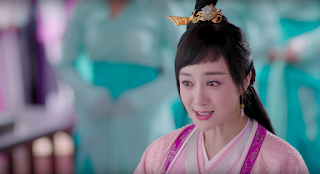 Mantuo echoes her nanny’s sentiments and complains that her sisters have princes for company while she has to marry a subordinate. 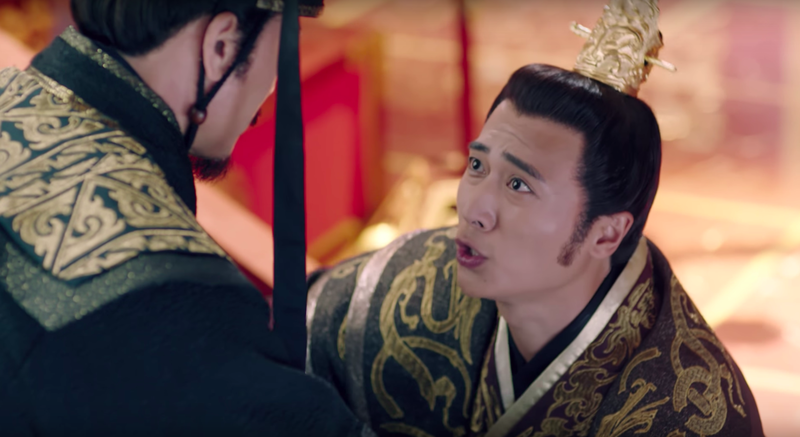 Dugu Xin finally has a proper audience with the King who is so desperate during their meeting that he even gets down on his knees to beg for help. 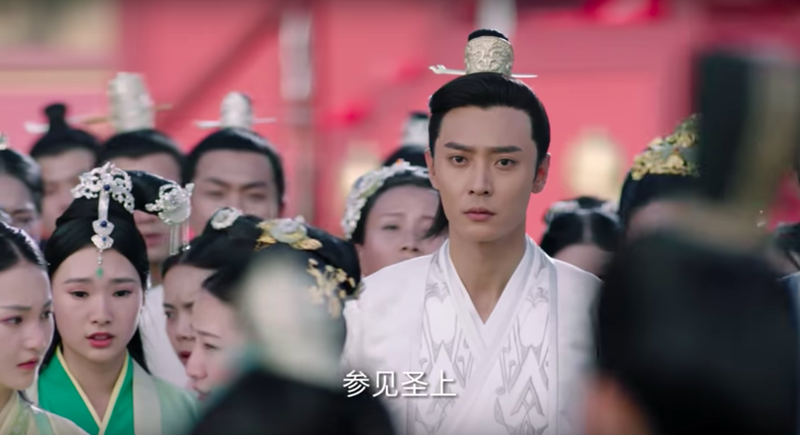 Dugu Xin manages to buy time as he asks for a few more days before deciding. Yuwen Hu meets Dugu Xin on his way out to stress that the current King is someone who would never stand a chance against Gao Zhan of Qi or any other kingdom for that matter. Yuwen Hu questions the point to Dugu Xin’s loyalty when the King is nothing but a puppet that he has put on the throne. 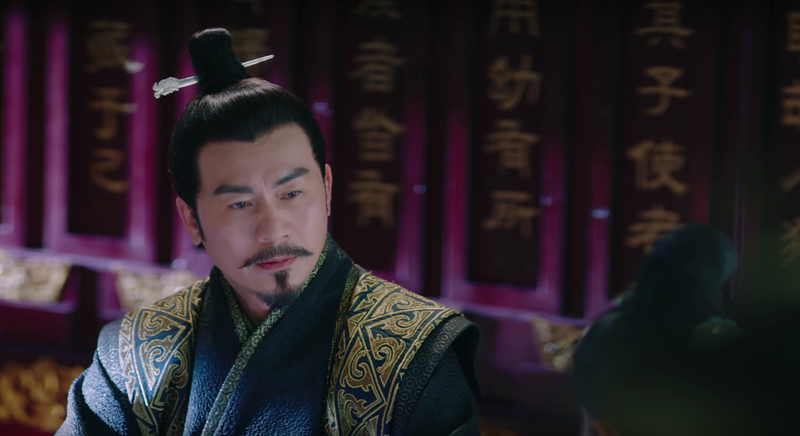 Yuwen Hu won’t hope for Dugu Xin to stand on his side, and merely wants for him to remain impartial. 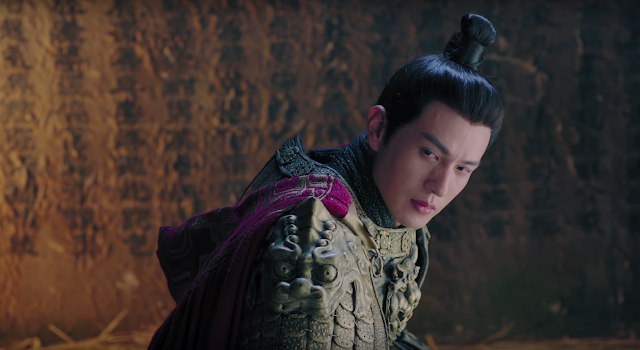 Yuwen Hu also brings up the Dugu prophecy and suggests to join hands in turning it into a reality. 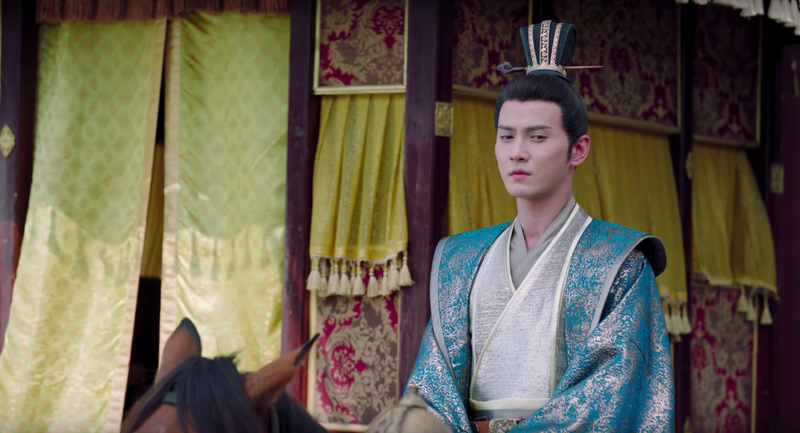 His words seems to have the opposite effect as Dugu Xin walks away fuming from the conversation. 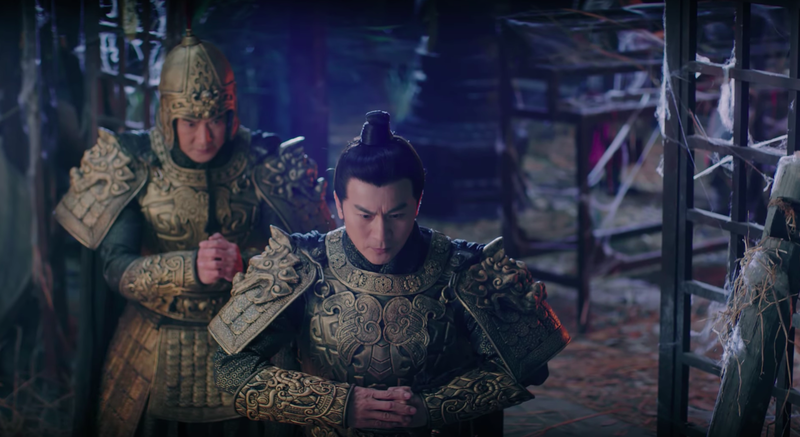 Ge Shu volunteers to take matters into his own hands, but Yuwen Hu tells him not to make any hasty decisions because Dugu Xin is Banruo’s father. 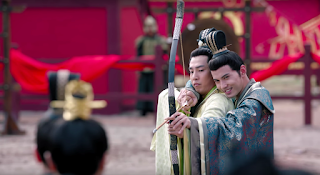 Comments: It goes without saying that I'm loving the scenes between Ady An and Jeremy Tsui as they play off each other through veiled threats and crackling chemistry. If anyone's a perfect match, it's them! Hu Bingqing and Zhang Danfeng didn't seem to have as much screentime in comparison. 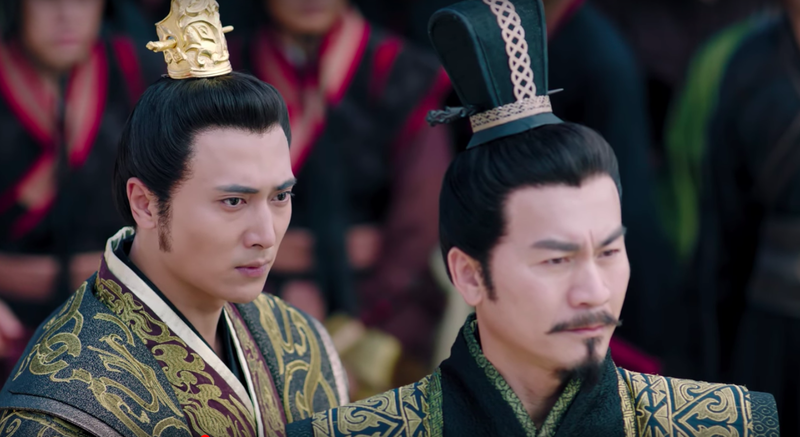 I wouldn't consider myself big fans of either of them, but I appreciate that both their characters seem clever and sensible, which are likeable qualities in a main lead. 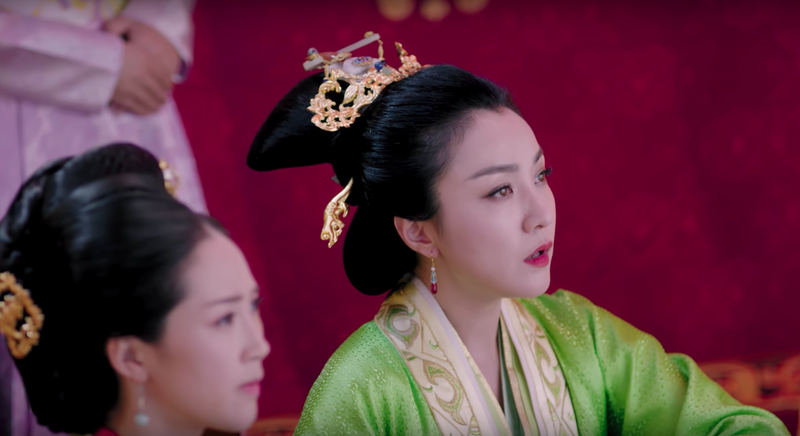 As for the second sister, maybe the actress playing her is just that good, because she's already getting on my nerves. She hasn't done anything bad other than to show how ridiculously short-sighted and superficial she is, but I can already see her bearing out the cat claws in the future. Thank you for the great review. This was super helpful as I watched this without subs so I had to guess what was going on lol! I was a bit confused which sister was supposed to be the lead so this has cleared this up too. 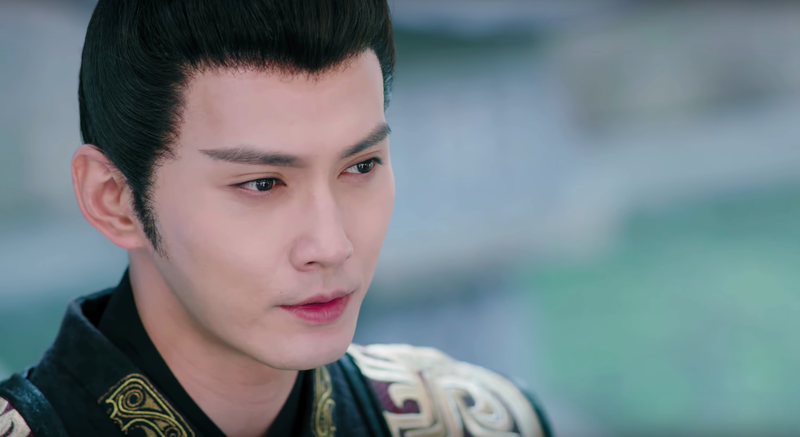 So far I like Qieluo more than I expected to. The second sister is annoying. Banruo is definitely the most interesting so far. Not happy about what she did to the poor horse but I guess it's to signpost how ruthless she can be. 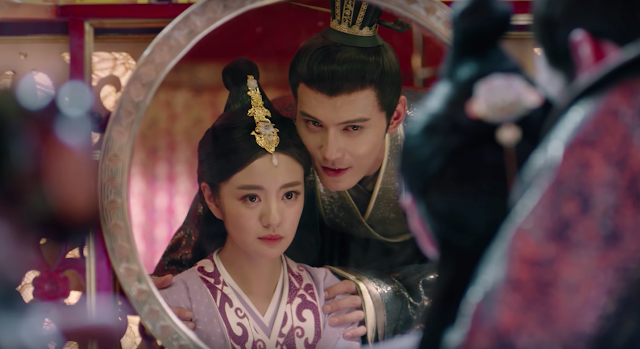 I think the relationship between the eldest sister, Banruo, and youngest sister, Qieluo is adorable. It will be sad if they lose their sisterly bond. Thank you for your review! I am following this drama right now! It seems like the main guy is getting yelled on YT a lot for being very very stupid. I agree, if he is a young 12 year old boy and being that dumb I wouldn't mind but he is old and also have that smarty looks. He was not even angry at all when the 2nd sis claimed she lost her first time to the old guy, he only looked like he wanted to yell at the 3rd sis... :P And then as 2nd sis marries the old guy, he was also not convincingly angry nor sad...based on the trailer, it gives me the feeling that he is not going to be a worthy guy of the 3rd sis. I can't help cringing my teeth about that. Also I was glad in the preview seeing 3rd sis can fight, but in the drama, I don't know when she started practicing her martial arts but she just started knowing how to fight all of a sudden (why didn't she fight in the past? 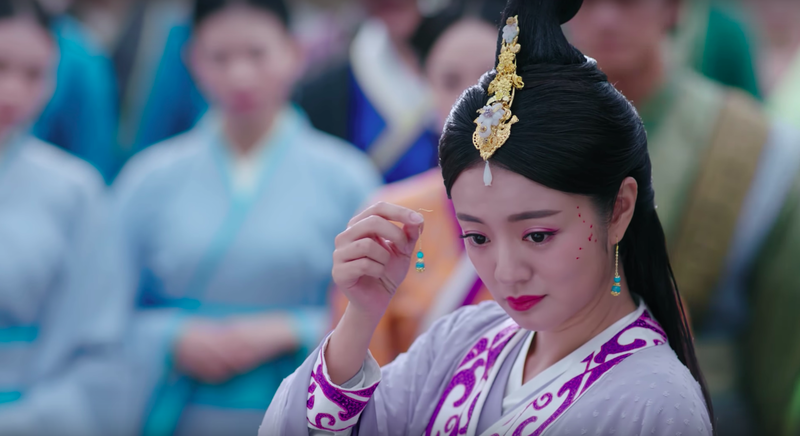 Not saying she have to train for 7 episodes like Xing'er though), it was kind of just meh, the real scenes were kind of disappointing. 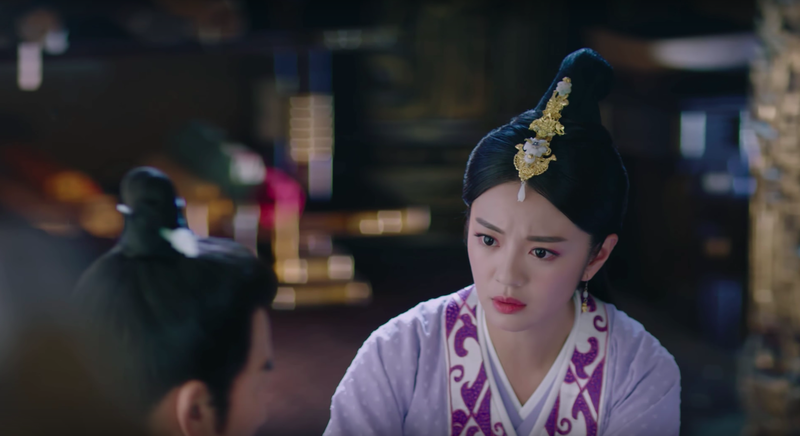 He's pretty weak when it comes to Mantuo the second sister because she uses her tears and lies to get what she wants she is frankly a really annoying character. 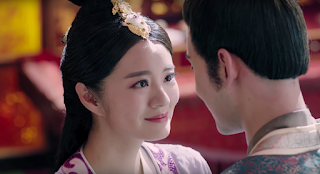 Yang Jian has been in love with her I guess since they were children but he seems to be redeemable later on in the series..but that past relationship with the second sister is gonna definitely be a huge part of the story. 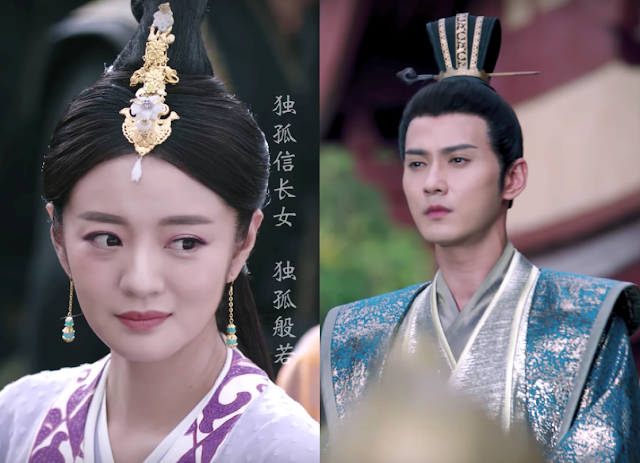 However in the latest episodes he seems to really like the third sister and I think in next weeks episode, jialuo the third sister tells him that lihua which is technically the first sister and yuwhen hu's child but she states it's her own child with yuwhen yong. Yang jian says he'll take care of her as his own child since they are married already. 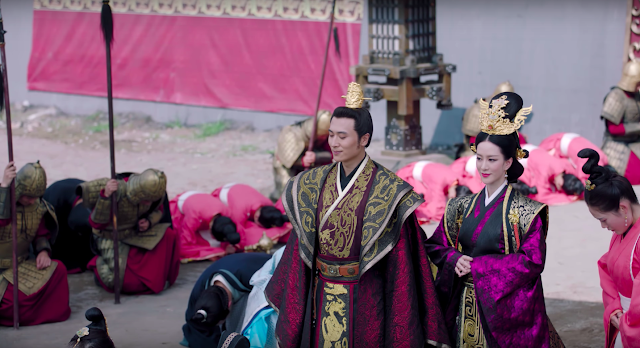 But in history he was one the few emperors who only cared for his one queen. Thank you so much or this review. I also am having trouble understanding the episodes without English subtitles, so this review/episode synopsis is brilliant and so helpful! Can you please provide a review for episode 2 as well?